Masgûf is the most famous dish in Iraq. This is the most served dish to the foreign delegations who visit the country. So you can easily understand the importance of the dish. This dish is the most popular in Baghdad city of Iraq. 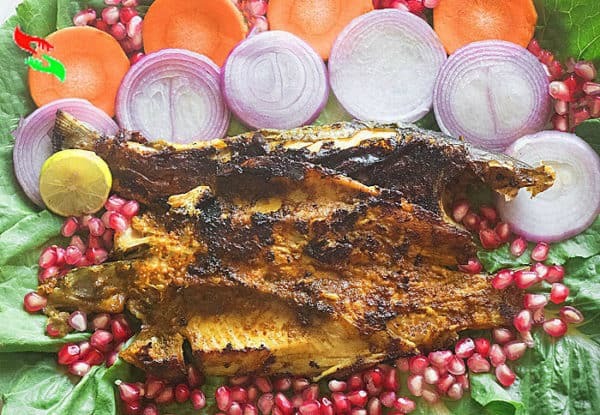 Its a simple but very flavourful grilled fish dish. People may think that make a recipe of masgouf restaurant style is not easy. 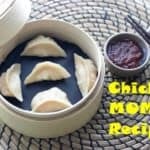 But after you go through my recipe, you will understand how easy it is to prepare at home. why this dish has so important in Iraqi cuisine? Iraqi cuisine is made up of Assyrian, Kurdish, Yazidi, Armenian, Christian, Jewish, Turkmen and Muslim food cuisine and dishes. The world cannot overlook Iraqi food cuisine as it is the home of ancient food recipes. At the top of the list of Iraqi food, the cuisine is finest meals masgouf. It is a recipe which came from Mesopotamian civilization and consist of grilled carp. 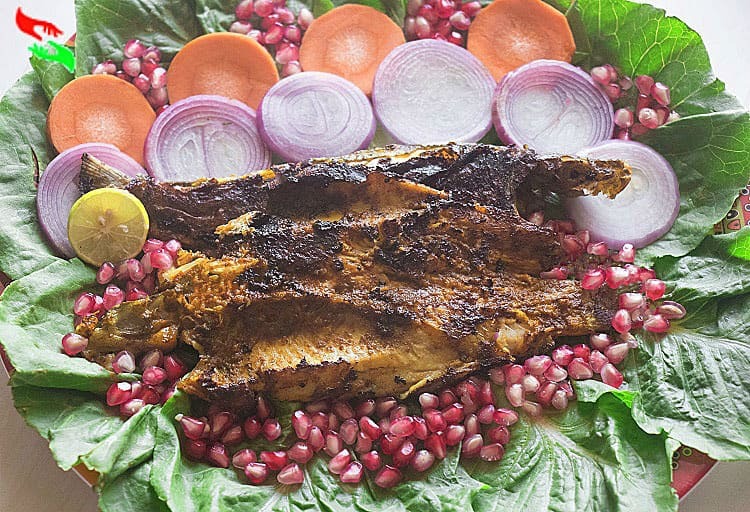 Masgûf/masgouf is originated as a traditional Mesopotamian grilled fish recipe. Why this dish named “Masgouf “? Meaning of “Masgûf ” in Mesopotamian language is “Between Two Rivers“. This dish made with very few seasoning with a freshwater whole crap fish. It is considered a national dish of Iraq. This recipe is named by ancient Greeks, who was known for mythology and democracy. This Iraqi dish “Masgouf” has been around since the Babylonian times. In Mesopotamia Time The invented place or originated place of the dish was between the two rivers of the Tigris and the Euphrates Rivers. Nowadays the place is known as Turkey across the Syria and Iraq. Now in modern days, you can get the dish is Abo Nawas district on the shores of the Tigris river in Iraq. And the dish is very popular in many Iraqi restaurants inside Iraq as well as outside of Iraq. 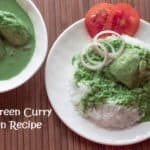 How much popular “Masgouf” dish in Iraq and How am I making this dish masgouf restaurant style? Masgouf is so popular among Iraqis that it becomes their national dish. This dish is generally served to People who do not belong to Iraq or new to Iraq as a traditional dish. This relish and the pungent dish is easily available on the roadside throughout Iraq. They use always fresh fish to prepare the dish which freshly caught on the same day and kept alive until you oder the dish. Iraqis living in other countries as in America and other parts of the Arab world used to cook carp over the fire in their storefronts and homes. 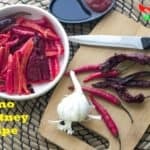 Prepare the dish Very few and simple ingredients(tamarind, garlic, salt, turmeric etc.) just you need. You will love the crispy texture of the fish, which comes from cooking it on fire or on a bar-b-que/grill. Lemons served in this dish as a taste enhancer or garnish. which makes the dish tempting and awesome in flavour. Simple ingredients and less oil make the Masgouf a healthy dish. The long cooking over the fire burn out all the fats from the fish which also make it healthy. Why am I making this dish masgouf dish in my kitchen? The best part of the dish is that you can prepare it to welcome a group of people on any occasion as a whole carp fish is enough for 4 to 5 people. 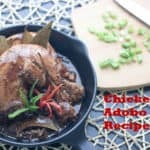 Less cooking time and easily available ingredients make this dish more comfortable to prepare at home. You would not be an expert to prepare the dish. So try this and enjoy the food with your friends and family. The very impotent Note : Remove the scales from the fish then cut the fish from the middle and completely clean from the inside.Cut the fish like a butterfly shape which is the traditional way to cut a fish for Masgouf dish. At first take, a glass bowl put the fish into the bowl. Put all the ingrediets eventhe oil in to the bowl and mix all the ingredients very well with the fish. Now cover the bowl with a clean flim foil and refigarate the fish as marrination for minimum 1 hour.The fish will be taste more good if you marrinade the fish for over night. After one hour BBq the fish in open flame or in you don't want to do bbq the fish you can roast the fish in a microwave or in a grilled pan.